They say "a hot dog is only as good as the mustard that goes on it," and who would have known this better than Cleveland's own mustard icon and food purveyor, Joseph Bertman? Bertman Original Park Mustard and the Bertman family name are synonymous with a Cleveland food tradition dating back to the 1920s. Its story is as much about Joseph Bertman the businessman, entrepreneur and humanitarian, as it is about the popular award-winning spicy brown concoction that he created. Born in Lublin, Poland in 1902, Joseph Bertman was 6 when he immigrated to Cleveland. At only 13 years old, Bertman witnessed his father being shot to death by someone taking target practice at an old boxcar. (Bertman and his father were making deliveries for the family dry cleaning store at the time.) Following his father's death, the young Bertman became the sole support for his mother, four brothers and a sister.To keep the family together, he worked two jobs, seven days a week. At 19, Bertman quit working for other people and set up his own business -- pickle packing. He established Bertman Pickle Company in a little garage on E. 103rd Street. He would rise at 4 a.m. every morning to begin peddling his products. 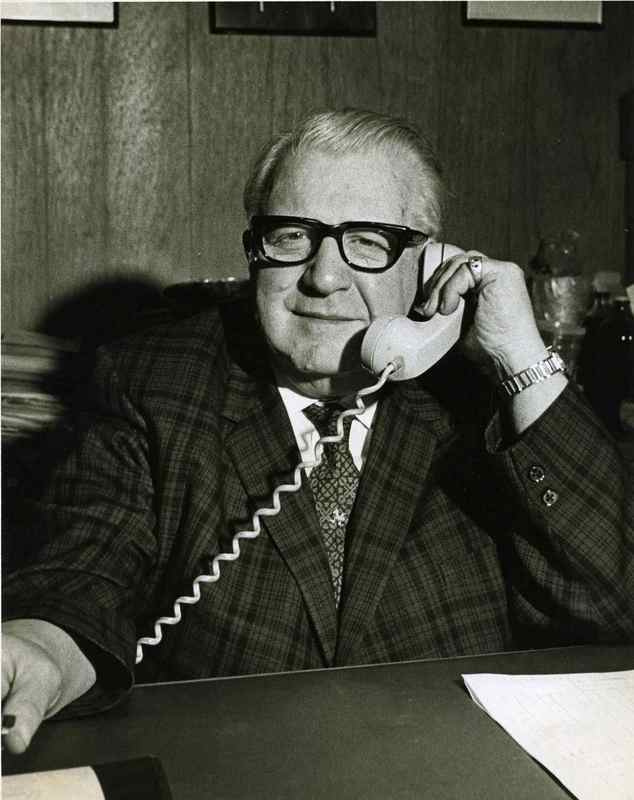 In the mid-1930s, he established Joseph Bertman, Inc., a wholesale food business, first located at East 103rd Street and St. Clair Avenue, and then at 2180 East 76th Street. 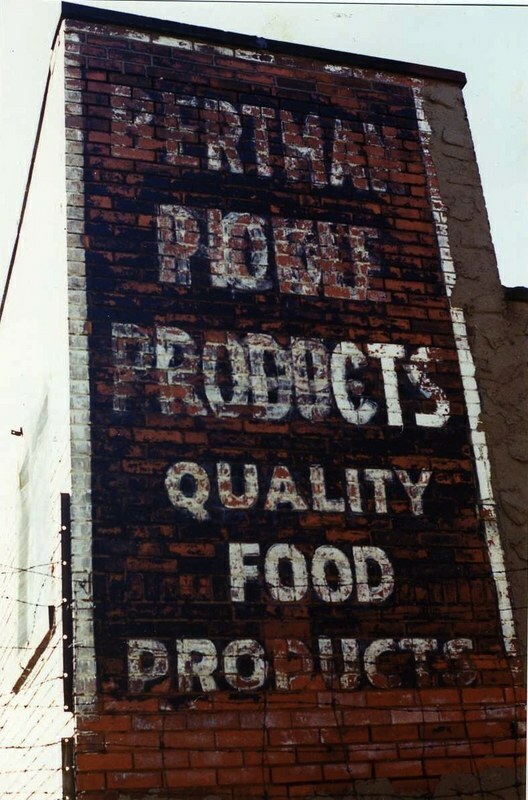 Bertman supplied food products to a variety of institutions, caterers, and ball parks -- including League Park and later to Cleveland Municipal Stadium, home to the Cleveland Indians. 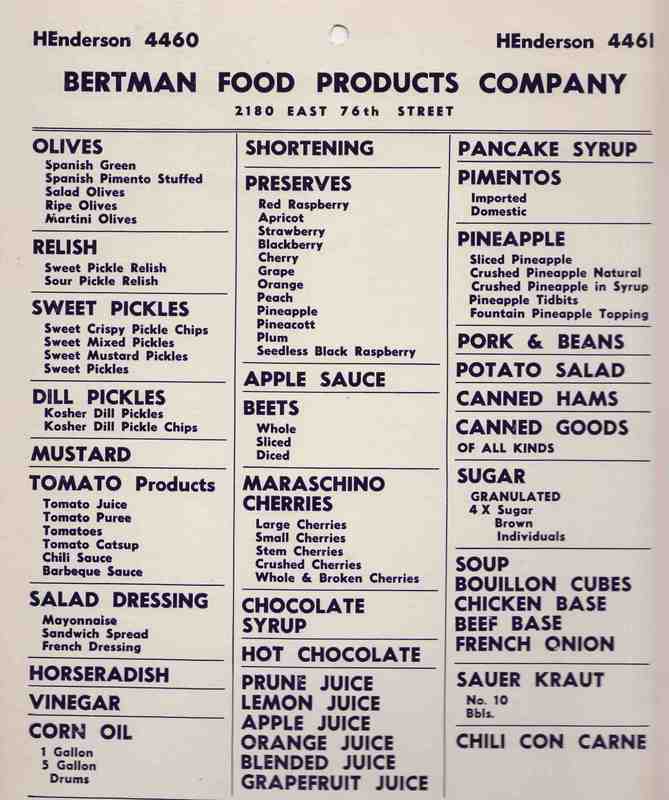 In the period shortly after World War II, Bertman had exclusive distribution rights to many products. At one point, he was warehousing many items and running 22 trucks and a sales team in order to service his customers. He expanded his sales territory across an area that ran from Pittsburgh to Toledo, handling every type of food. Bertman became so expert in the business of buying foods and finding and importing food products that he began spending more time as a food broker than as a wholesaler. He traveled all over the world, finding crops and locating sources of critical foods and kept permanent apartments in New York and Miami as well as his Cleveland home. From hometown food giants Hector Boirdi (AKA Chef Boyardee) to Vernon Stouffer, Joseph Bertman was a friend and mentor to many renowned people in Cleveland's food industry. 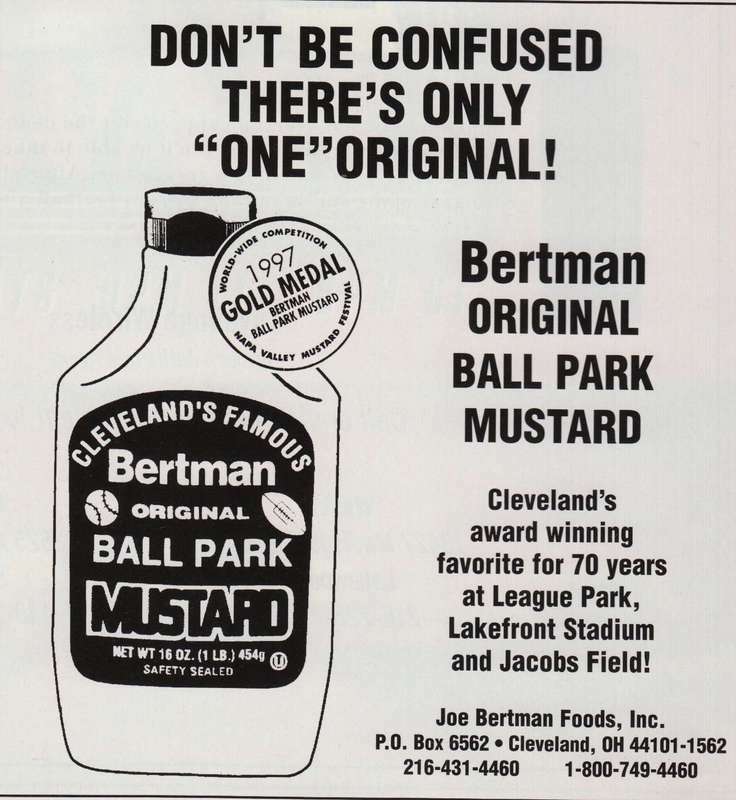 As for "The Good Stuff" that Cleveland Indians' fans have known and loved for generations, the recipe for Bertman Original Ball Park Mustard has remained almost unchanged over the years. The finest vinegar, brown mustard seed and spices are processed in a unique manner and never watered down. Since 1921, when Joseph Bertman invented it from his secret formula, his Original Ball Park Mustard has tantalized taste buds at Euclid Beach, League Park, the old Cleveland Municipal Stadium, and now at Progressive Field, too. The Legendary Ballpark Mustard: Bertman's Mustard comes in many different shapes and sizes, for the traditionalist or a picnic. Image courtesy of Western Reserve Historical Society. 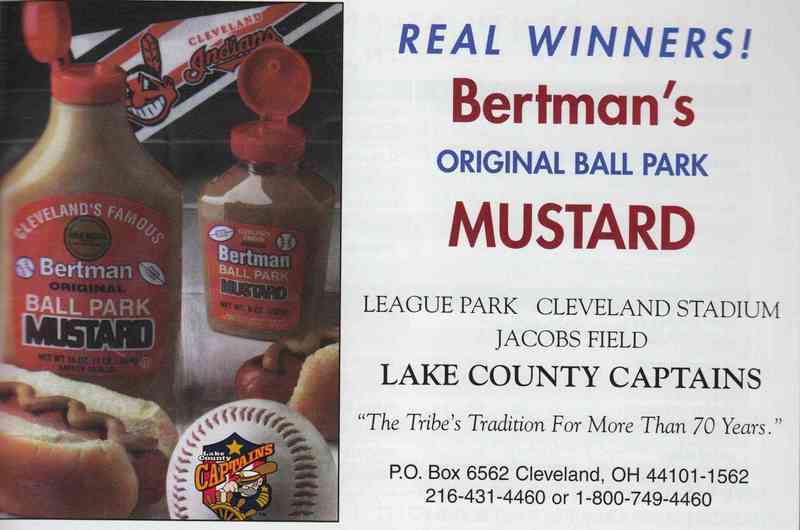 Bertman's Ad: Bertman's Mustard advertisement from a Lake County Captains program, circa 2003. 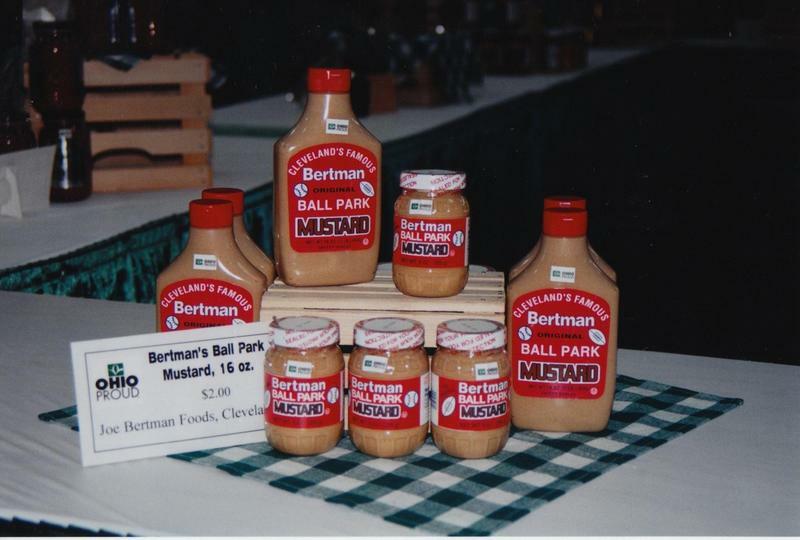 Throughout its history, Bertman's has sold mustard to baseball stadiums across the Cleveland area. Most famously, its mustard has been served in all three of the stadiums at which the Cleveland Indians have played over the years. Image courtesy of Western Reserve Historical Society. Paul Mazoh, grandson of Joseph Bertman, describes his grandfather's early years. 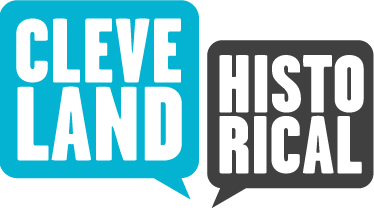 Paul Mazoh, the grandson of Joseph Bertman, talks about how Bertman became the "Pickle King" of Cleveland. Paul Mazoh explains how mustard became a part of his grandfather's business. Paul Mazoh describes one of his grandfather's great sales gimmicks. 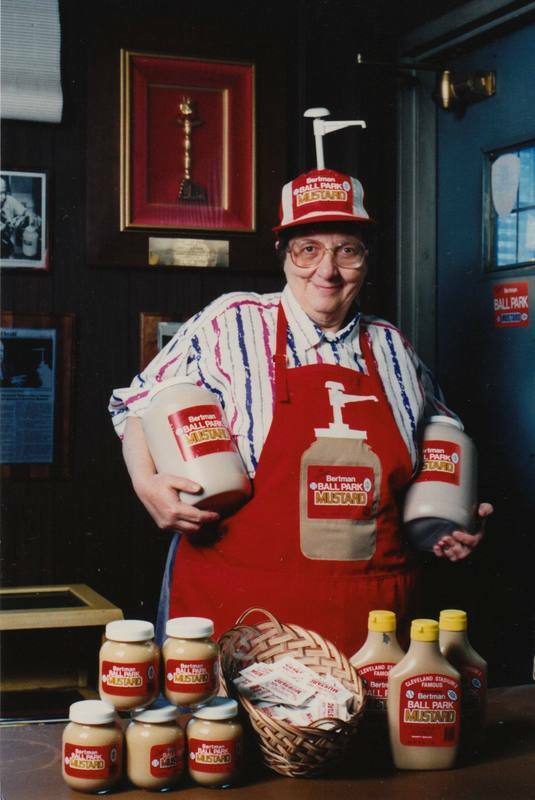 Gail Greenberg and Diane Rolfe, “Bertman Ballpark Mustard,” Cleveland Historical, accessed April 23, 2019, https://clevelandhistorical.org/items/show/271. Published on Jul 21, 2011. Last updated on Apr 18, 2017.